What better way then, to celebrate this literary form, than by returning to some of the great tales and classic authors who helped shape this genre into the literary gem it is today. 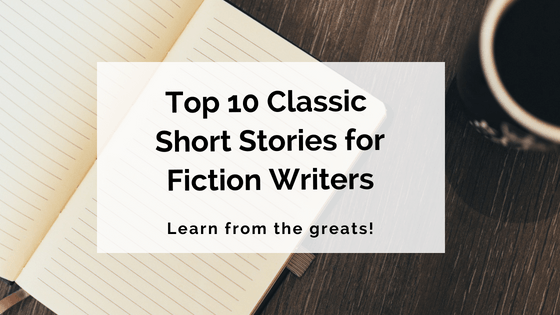 Here’s our pick of the top ten ‘must-read’ short story classics! Don't have time to read this whole post right now? Written by one of England’s greatest novelists, ‘The Signal-Man’ is an eerie ghost story about a railway signal-man who is haunted by foreboding, spectral visions. No doubt the best aspect of ‘The Signal-Man’ is the way Dickens establishes atmosphere. An example of this can be seen in the quotation above. Here, Dickens succeeds in creating a haunting, supernatural atmosphere by not only suggesting the narrator has 'left the natural world', but also by describing the setting much like a graveyard. 'The Signal Man' is a short story written by one of the world's most famous novelists, Charles Dickens. Image Credit: James Gardiner Collection via Flickr Creative Commons. ‘The Happy Prince’ is a melancholy tale, reflecting the style of a fairy-tale or fable – which is, after all, where short stories found their roots as a genre. The story looks at themes of love and sacrifice, wealth and poverty, and the nature of true beauty. This line is extremely effective and moving due to the dramatic irony of the narrator’s suggestion that it was merely the frost that had broken the prince’s heart. In contrast, the reader is able to recognise that it is the prince’s sorrow, and love for the poor little swallow, that has caused the 'leaden heart' to snap in two. Oscar Wilde is known all over the world as one of the literary greats… Image Credit: Delany Dean via Flickr Creative Commons. 'The Magic Shop' is a curious tale that follows a father and son’s experience of visiting a ‘genuine magic shop’. While the little boy explores the shop, seeing only joy and wonder, his father is confronted with much more sinister visions. The story therefore examines how we experience the world as children versus how we experience the world as adults. In doing so, ‘The Magic Shop’ forces the reader to consider whether innocence and evil truly exist in the outer world, or whether these are merely determined by our own perceptions. The symbolic implication of this line seems to sum up the overall purpose of the story. The narrator, of course, believes the demon belongs to the magic shop, yet the shop owner claims that the narrator has been carrying the little devil around himself. This therefore begs the question – is evil born of our own perceptions? The famous novelist H.G. 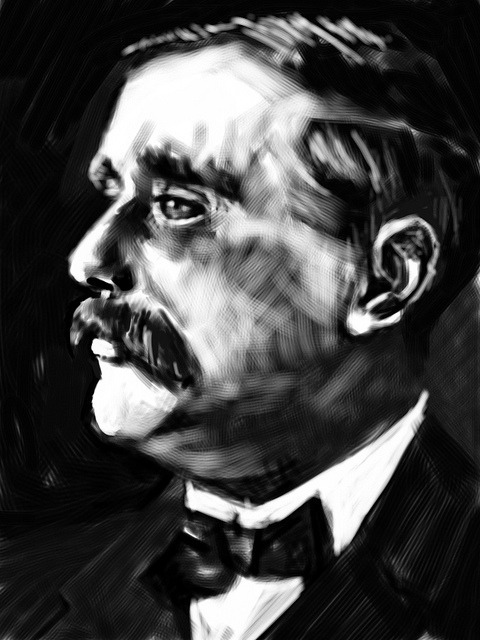 Wells also penned a classic short story: 'The Magic Shop'… Image Credit: Kieran Guckian via Flickr Creative Commons. Stay up to date with the most popular posts on Writer's Edit. ‘The Gift of the Magi’ is a simple story about a young married couple’s quest to find each other the perfect Christmas gift. In securing these ‘perfect gifts’, however, each partner is forced to give up something highly valuable and precious to them, resulting in a rather unfortunate twist. This line is made all the more wonderful by the contradiction of the line immediately preceding it, which suggests that the couple were extremely 'unwise' for giving up their greatest treasures. The delightful contradiction forces the reader to consider how the couple could be considered both 'unwise' and yet also the 'wisest of all'. In doing so, O. Henry invites the reader to recognise that, although the valuable sacrifices the couple make for each other ultimately reduce their gifts to irrelevance, their sacrifices were made out of love, and are therefore the most valuable gifts of all. After falling asleep in the woods, the ‘henpecked’ Rip Van Winkle awakes to find his village deeply changed, and is startled to discover twenty years have passed. One of the greatest classic short stories to emerge in America, ‘Rip Van Winkle’ takes a metaphorical look at the changing American identity following the event of the Revolutionary War. Through this exclamation, uttered by Rip Van Winkle, Irving perfectly captures the crisis of identity he aims to represent. Through this line, more than any other, Irving portrays America as a nation that must struggle to map out its own, unique identity, after severing its ties from the previous monarch (much like Rip, after finding himself free of Dame Van Winkle). Set in Louisiana, prior to the American Civil War (a time when slavery was still considered ‘lawful’), ‘Désirée’s Baby’ examines the injustices of racism and gender discrimination. The sense of karmic justice in this final line leaves the reader feeling smugly satisfied. After expelling his wife and child from their home, merely for their mixed heritage, the reader takes great delight in discovering that it is Armand himself who is not entirely of white descent. Within this ending, Chopin highlights that all people are ultimately the same, and that not one of us, for any reason whatsoever, have the right to treat another person as less human than ourselves. Inspired by the Burke and Hare murders of 1828, ‘The Body Snatcher’ is a Gothic tale that follows two med students, involved in crimes of grave robbing, in order to keep their anatomy professor supplied with instructional cadavers. What makes this line so intriguing is the way it seems to strongly foreshadow Stevenson’s grotesque ending. The author Robert Louis Stevenson… Image Credit: James Gardiner Collection via Flickr Creative Commons. Flying the flag for feminism in this story, Charlotte Perkins Gilman provides an interesting and unsettling exploration of the oppression of women in nineteenth century society. The rich symbolism of the emerging wallpaper pattern as we witness the narrator’s gradual descent into madness is definitely what makes this story so memorable and effective. It is clear to the reader that, just like the woman in the wallpaper, the narrator is being held prisoner by her husband, and is desperate to break free. Of course, we couldn’t have a classic short story list without including the ‘Father of the Short Story’ himself, Mr. Edgar Allan Poe. 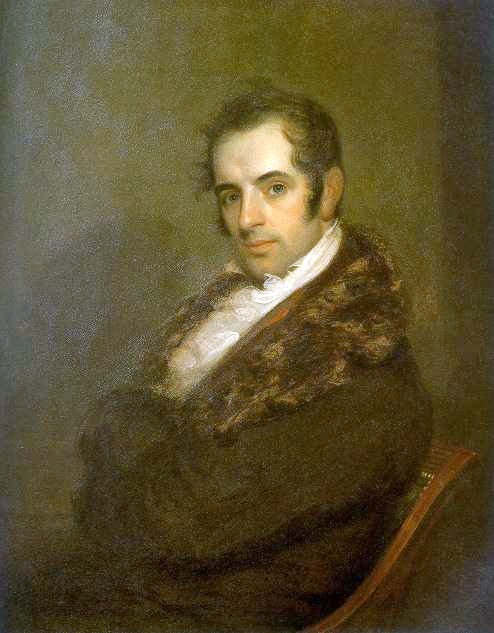 It is always difficult to choose only one story from such a prolific writer, but in our opinion, ‘The Tell-Tale Heart’ serves as an excellent example of Poe’s prowess in the short story genre. What makes this story so memorable is Poe’s brilliant use of the unreliable narrator. From the very opening line (included above), the reader is given the strong sense that the narrator is not to be entirely trusted. The structure of the introductory line is erratic and disjointed, creating the impression of mad ramblings. In addition to this, the narrator plants the seed in the reader’s mind himself that he is, in fact, ‘mad’. Of course, the wonderful irony of this is that the narrator is attempting to convince the reader of his sanity, and yet with every sentence, the reader only becomes more and more certain of the opposite. 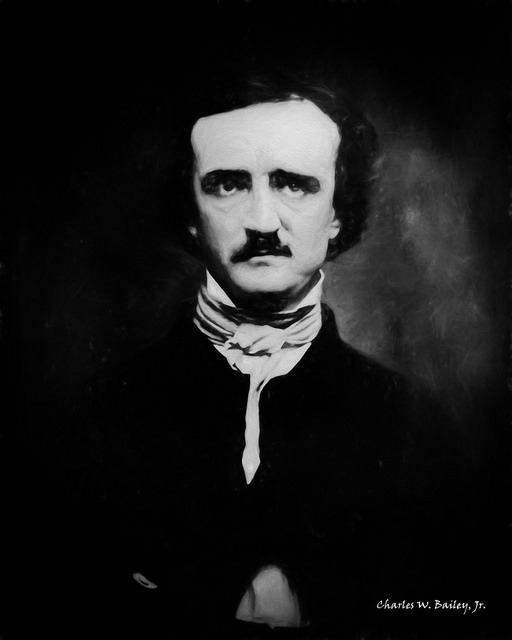 Edgar Allan Poe adopted the short story as it emerged as a recognised literary form… Image Credit: Charles W. Bailey Jr. via Flickr Creative Commons. Anyone who has heard the name Sir Arthur Conan Doyle would know he is most famous for his hugely popular Sherlock Holmes stories. But perhaps not everyone realises what a talented and prolific writer he truly was – particularly in the genre of the short story. The Sherlock Holmes stories themselves are, of course, exemplary of this. Of the sixty stories chronicling the adventures of the consulting detective, fifty-six of them are short (and all sixty are well worth the read, if ever you get the chance. The complete collection is available here). But for anyone who has ever wondered what this author can do outside of the Holmes stories, ‘B24’ is excellent in highlighting Sir Arthur Conan Doyle as a master of the short story. Spoken directly from the narrator to the reader at the end of the story, this line is extraordinary in a number of ways. By addressing the reader in this way (both here, and in the opening) Doyle personally drags the reader into the story and places a great deal of responsibility on his/her shoulders. In doing so, Doyle establishes an acute sense of realism in the tale, allowing the reader to feel as though the narrator can, in fact, extend beyond the page and come back to haunt them as promised. The line is also notable for the seed of doubt it places in the reader’s mind, that the narrator may be unreliable. Written from the perspective of a thief, attempting to convince us he has been wrongly accused of murder, the assertion that he will hang himself if we, the reader, refuse to help him, makes us question the narrator’s sanity (much like the narrator in 'The Tell-Tale Heart'). If the narrator is mad enough to hang himself if he is not listened to, perhaps the reader cannot trust his testimony after all? In this way, the reader is left wondering, do they really know who the killer is? One of the most widely renowned short story writers, Sir Arthur Conan Doyle - author of the Sherlock Holmes series. Image Credit: Daniel Y. Go via Flickr Creative Commons. Love short stories, both classic and contemporary? Why not learn how to write a short story of your own? Do you have a favourite that wasn't listed here? Share it with us in the comments below! Love this list! Makes me feel like going back and reading Edgar Allen Poe again… Love the pictures as well – what a time! Great list, I’ll be considering some of them for my short story podcast, The Lone Drunk Readeth. I’d argue that The Yellow Wallpaper is the finest of the bunch, but I do often find it curious that nobody ever seems to mention that the narrator is suffering from post-natal depression, as well as being forced into a ‘resting’ therapy throughout the tale. Add in the fact that her husband treats her more like a child than an adult and it’s a little wonder why she descends down the mental loophole. Her use of words is quintessential to the art of the short story I performed it on the show, along with The Tell-Tale Heart. Unreliable narrators are wicked fun to perform. I’ll definitely check out The Body Snatcher, it sounds great. Others I recommend would include The Lottery (Jackson), The Fall of the House of Usher (probably Poe’s best), The Rats in the Walls (Lovecraft), Jane (Maugham), A Collapse of Horses (Evenson), The Frolic (Ligotti), A Hunger Artist (Kafka), An Occurrence at Owl Creek Bridge (Ambrose) and To Build a Fire (London). Just so you know, the article How to Write an Amazing Short Story brought me here. Writing can only be learnt, first and foremost, through reading. The more the better, in my opinion. That’s why I started the show. Other stuff can help, especially if you’re not too hot with your grammar etc, but really, you can only learn by reading voluminously. Enjoyed the list. Cheers for posting it! Glad you enjoyed Alyssa’s short story roundup! Your podcast sounds great – we’ll definitely be checking it out. And thanks for the additional short story recommendations too! Totally agree that the more a writer reads, the better their writing will be. Even if you’re primarily a novelist, reading short stories like these is such a valuable (not to mention enjoyable) exercise, and can really help broaden your horizons and improve your craft. Happy reading and all the best with your podcast! Classic works in world literature! Millions of people have already read them and billions more are waiting still. The real power of stories getting known to ordinary people. Great to see such a great collection. Real feast to the mind and brain. Thanks. I was wondering how nice it would be if there was a list of greatest short stories from all around the world be it in English or any other language. It’s shocking how none of the stories of chekhov make it to the list. Also, Young Archimedes by John Steinbeck is a fantastic read. Young Archimedes is by Aldous Huxley, no?